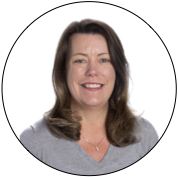 As Director of Teaching and Learning, Karen Boyle manages the day-to-day operations that relate to teaching and learning at Science & Arts Academy. For nearly 25 years, Karen has been working as a teacher and administrator in independent schools. Her belief that relationships are critical to a child's ability to learn guides her approach to education. “Our best learning occurs when we step outside of our comfort zone, challenge ourselves, and accept the risk of making a mistake. When children feel connected to their teachers, they are more apt to do these things." Karen values relationships with students and families and she is often found spending time in classrooms, dropping in to lunch and recess, and reading to our kindergarteners. She also hosts Conversations with Karen, events meant to help educate and support SAA parents. Karen’s interest in working in gifted education stems from her own experiences as a child attending an elementary school that did not have adequate programming to meet her needs. Consistently finishing her work ahead of others, she often found herself helping out in the special education preschool classroom. This sparked a love of teaching and strengthened her commitment to ensuring that all students have the benefit of a challenging and differentiated curriculum that meets their academic and social-emotional needs. Outside of school, Karen enjoys being outdoors. Some of her favorite things to do are kayaking, swimming, skiing, snorkeling, and scuba diving. She also loves the thrill of a ropes course, zip line, or roller coaster. When school is on break, Karen loves to travel and take road trips with her daughter, stopping at interesting places along the way.